President Trump should probably call off the hunt for the “senior official in the...administration" who the New York Times is claiming wrote a damning op-ed for the newspaper. Apparently the “senior official” claims to be part of a group of White House staff trying to thwart the president’s agenda from within. He also claims they seriously considered trying to depose the president using the 25th amendment of the Constitution. Serious stuff. But President Trump should relax and remember it is the New York Times after all. The paper has a scandalous history of lying about the seniority of officials it quotes anonymously - especially when that source parrots their agenda. A few years back they were caught red-handed deceiving their readers in such a way. In a lengthy anti-fracking article they claimed that senior industry experts and insiders believed the industry to be little more than a “Ponzi scheme" ... "set up for failure". They even had the emails from a series of senior insiders where these doubts were expressed. Well unfortunately for the New York Times, the emails were from the Energy Information Agency - a government organization - so this meant Senate investigators were able to find the original emails and work out the identity of all these different senior experts. It turns out the federal analyst, the energy analyst and the officer turned out to be the same person who was actually an intern when he wrote the first email and in an entry level position when he wrote the other comments. Yes, that’s right, the “Paper of Record" misrepresented an intern/junior employee as a senior official to push an agenda. 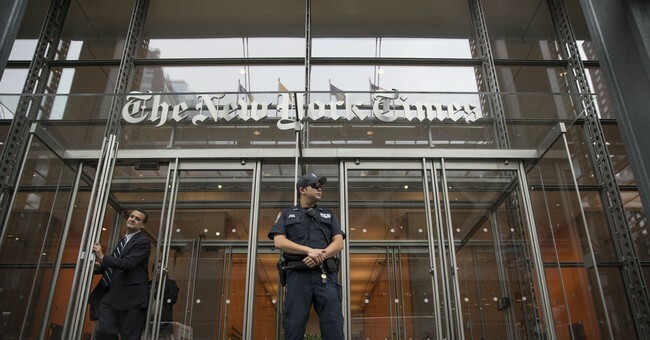 Was the New York Times embarrassed when their deception was uncovered? The Senate investigation did attract the attention of the New York Times Public Editor Arthur S Brisbane. “Can an intern be an “official”? It doesn’t sound right to me,” he stated. Well it sounded fine to the New York Times editorial board. They stood by their mislabelling of the intern/low level employees as a senior official. They later decided they didn’t want their stories to be second guessed in their own newspaper so they ended the role of public editor in the newspaper. And the reporter who misrepresented the intern, well, he was promoted. Ian Urbina is now a New York Times “investigative reporter based in Washington.” Maybe part of that investigation involved finding someone to write anti-Trump anonymous op/eds posing as a “senior official in the Trump administration.” President Trump is probably wondering who the anonymous official is. Perhaps given the New York Times's history of dissembling in this regard he should take his eyes off the cabinet table and wander down to whatever part of the White House holds the interns.